Swiss BioQuant is a bioanalytical contract research organization (CRO) specialized in LC-MS/MS and ligand-binding assays and dedicated to scientific excellence. 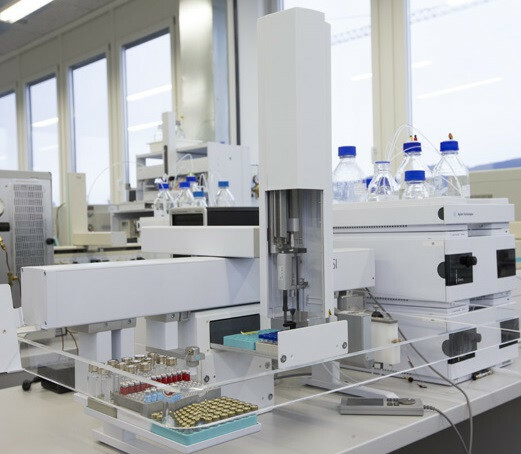 With a deep understanding of customer requirements, Swiss BioQuant is the bioanalytical laboratory of choice for pharmaceutical and biotechnology companies demanding scientific excellence, uncompromised quality, timeliness, honest and open communications. Swiss BioQuant offers customized LC-MS/MS and ligand binding assay method development, validation and sample analysis in a 21 CFR part 11 compliant environment for small and large molecules. The high level of our services allows us to effortlessly keep pace with the constantly increasing quality demands of renowned pharmaceutical groups, both in content and in documentation. Important prerequisites for our excellent service and quality standards (GLP) are represented by our continuous investments into employee training, documentation and instrumentation. Continuous audits or inspections throughout years convincingly document the success of our efforts in these fields. An automated data evaluation and reporting system as well as a validated electronic archiving system facilitates a reliable data management. ANVISA inspected since April 2017 to conduct bioanalytical services as a center for bioavailability/bioequivalence studies (ANVISA certification).